Does WinStress Test support testing of Server based ECC memory? 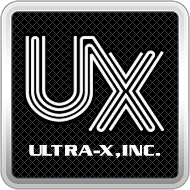 – Ultra-X, Inc.
WinStress Test includes over 20 proprietary memory test patterns to stress test and identify problematic memory modules. WinStress Test supports DDR, DDR2, DDR3, DDR4, FB-DIMM, ECC, LV-DIMM and more!